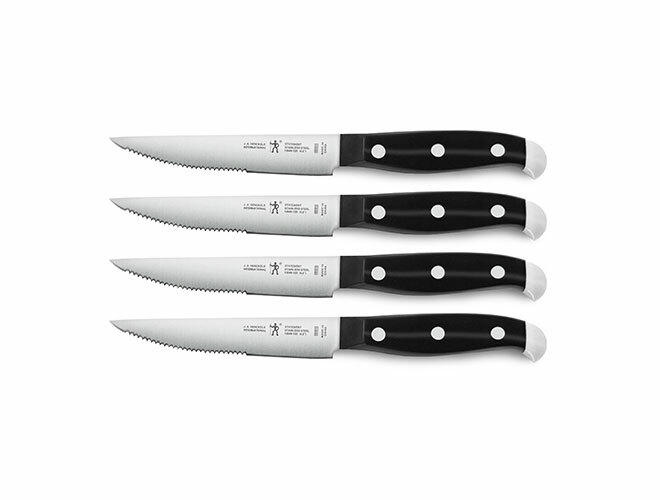 The Henckels International Statement 4-piece Serrated Steak Knife Set features blades that cut through tough meat, skin or other firm foods. 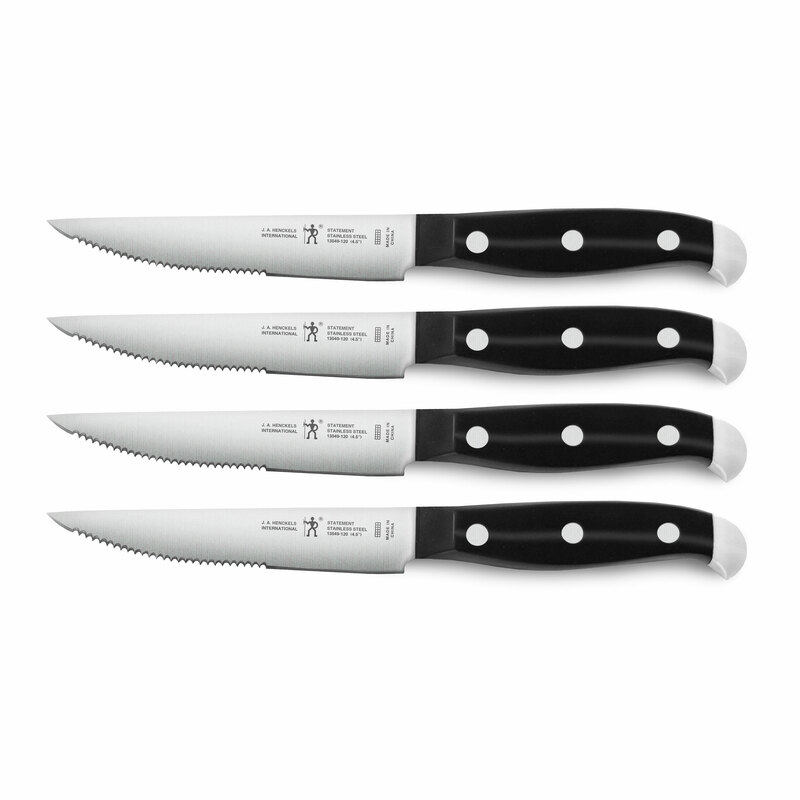 Henckels International Statement cutlery features a full tang, three rivet construction for balance and durability. The decorative stainless steel end cap adds an appealing aesthetic to your block display. The stamped blade has a satin finish and is rust and corrosion resistant. The ergonomic, three rivet handle features a full tang for balance for precise cutting.